So far this week has gone pretty good. The workouts are still tough but once I get going and warmed up they get easier. Trying to get home, get the workout in and off to swim practice has been tough logistically but I am making it work. Next week I’ll begin giving some private lessons, so I may have to start doing the T25 workout in the morning before school. Traditionally I am not a morning worker-outer so this is going to be tough for me, but the reward is I’ll be done in the morning and have more energy throughout the day. So I’ve got that going for me, which is nice. 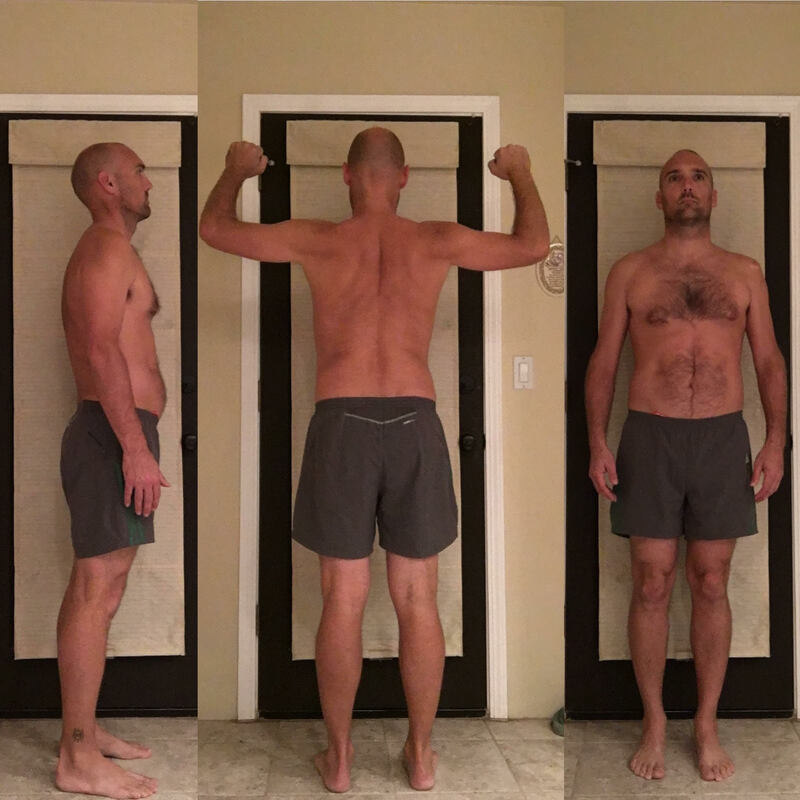 I never got around to taking “Before” pictures of how my body looked before starting the program, but its pretty much the same now as when I started a week ago. My starting weight was 175. That was taken in the morning on October 24th. 8 days later I weighed a few pounds more, but I am not worried. At the beginning of a workout program the norm is to gain a little bit of weight. Its usually water weight as the muscles tend to hold on to water as part of the muscle building process. This week I’ll also be adding some additional workouts to help me get ready for the Bakersfield Marathon in 11 days. Most of this will be on my spin bike but I’ll probably get out for a run or two just to test the legs out I am sure. 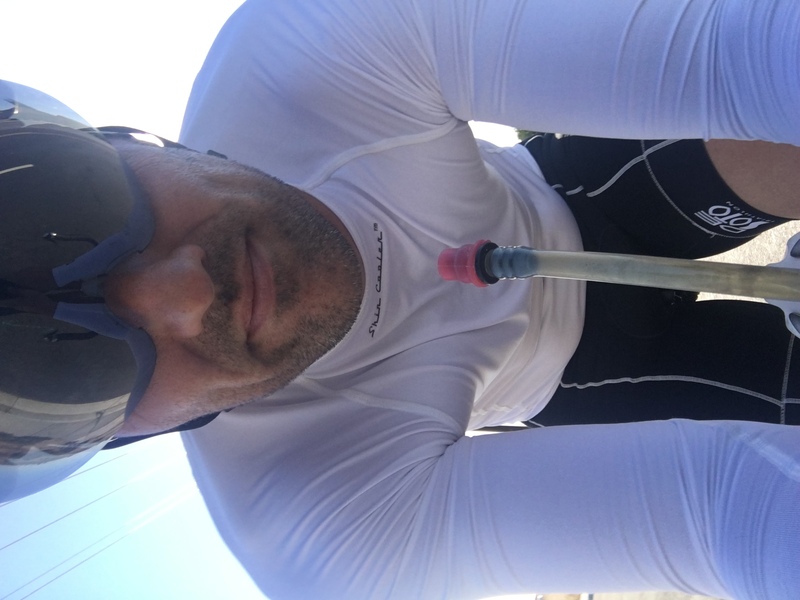 In a effort to save my legs for the Marathon though most of my training is going to be low impact leading up to the 13th and focused on cardio vascular endurance. Finished off this busy week. Only 14 Days until the Bakersfield Marathon! I changed up the days of the workout, but still got them all in sans one (the second workout scheduled for Friday) however I did do some additional workouts that I feel more than took the place of the one that I missed. This next week I’ll be more regimented in my workouts. This week will e important to get in some good long workouts in order to get ready for the marathon. Workout: Swimming about 1300 yards with Kids from Swim Practice – Practicing Backstroke Flip-turns and Starts. No Focus T25 today. A couple days ago I set out on a path to what most sane people would describe as crazy. Heck I even think I am a bit crazy. But if I am ever going to get a marathon under my belt, the one in Bakersfield next month is my best bet. I mean really, since I haven’t been able to get to a marathon in any other city, I had better take advantage of the one being brought to us here in Bakersfield. Its been in the process for a while now, but the Bakersfield Marathon is finally going to happen. It’s inaugural running is going to be on November 13, 2016; a little less than 4 weeks away. So I guess its better late than never to get my conditioning up so I don’t completely die. I wouldn’t suggest that people only train for a month to complete a marathon, and I am not trying to minimize the effort that it takes to complete a goal such as a marathon. But if you know me and know a little about my recent past, then you know I have a decent athletic base on my side. My biggest issue is going to be keeping my pace slow enough so that i don’t blow-up and end up with a DNF (that’s a “Did Not Finish” for those of you who were wondering). I figure that if I can work up my conditioning to allow myself to be able to workout for 4 hours steadily, then I should be able to shuffle a marathon at a 9 minute mile pace. That should bring me across the finish line in just under 4 hours. I really just want to finish and be out there with everyone else who is supporting this local event. The running community in Bakersfield is awesome and I can’t wait to be a part of this! So with that goal being set, this week I started the only workout I know that can get me into running shape fast. Focus T25. Over the next month I’ll be logging all of my workouts and nutrition because I know if I don’t it will be difficult to keep myself accountable. Workout: Focus T25 – Cardio and 1500 yards swimming with the swim team kids. The workouts have been going good. Very sore after on the second day as expected. Day 3 the soreness wasn’t as bad but a small fatigue factor played into my workout in the evening. All in all I am feeling good and looking forward to pushing through the conditioning and getting into some real distance training soon!